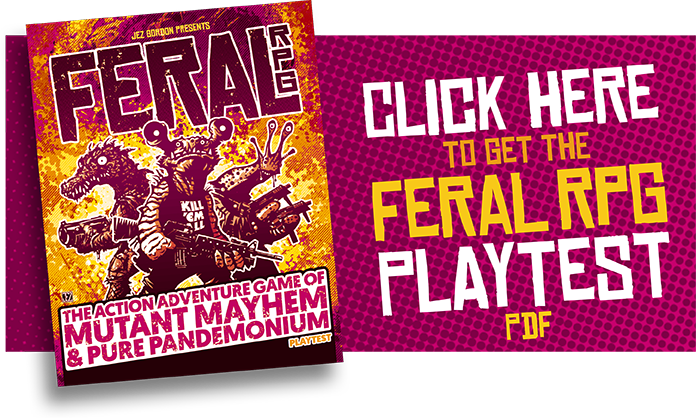 FERAL RPG - The Action-Adventure Game of Mutant Mayhem and Pure Pandemonium! 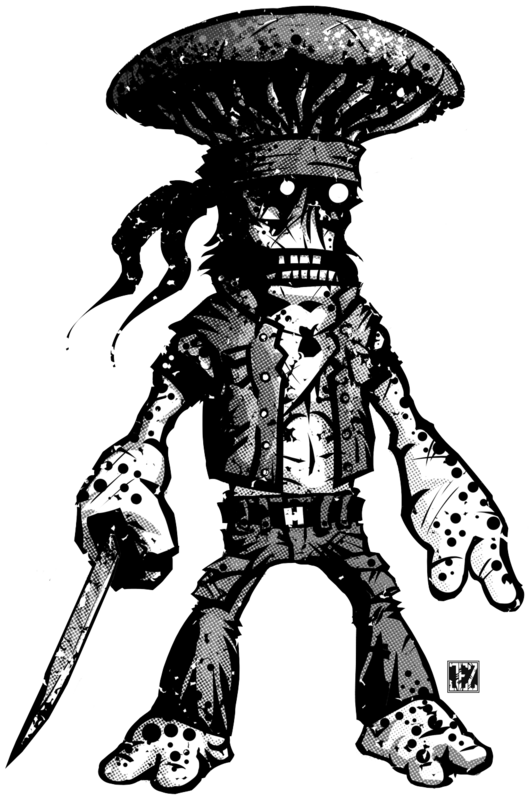 You: a deadly mutant mercenary. Your team: a bunch of killers just like you. 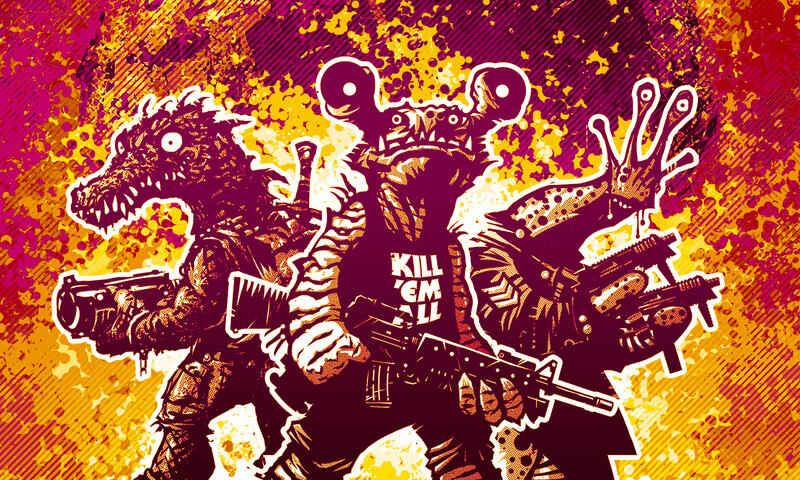 The job: track down mad General Gonzoida, destroy the Possibility Bomb, and save the worlds... all of them. The pay: warm fuzzies, a presidential pardon... and the sweet sweet taste of freedom. You could say no, but you’d be dissected by dawn, and you might not be dead come dusk. So lock and load, soldier. The Earth ain't gonna save itself! 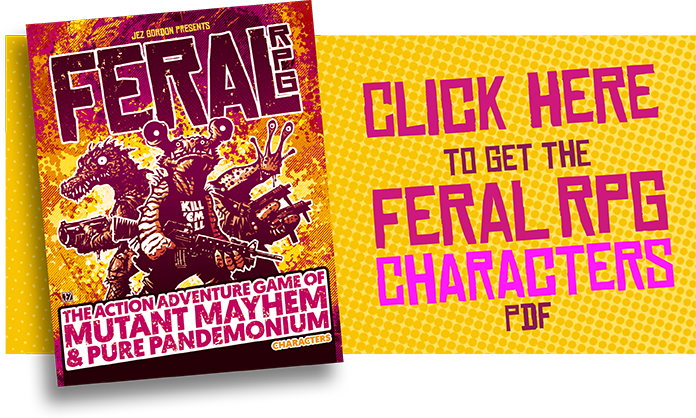 FERAL gives you all you need to create mutant characters and crazy dimension-shredding adventures set in the 1980s. TO GIVE YOU & YOUR BUDDIES THE BEST DAMN GAME NIGHT EVER. 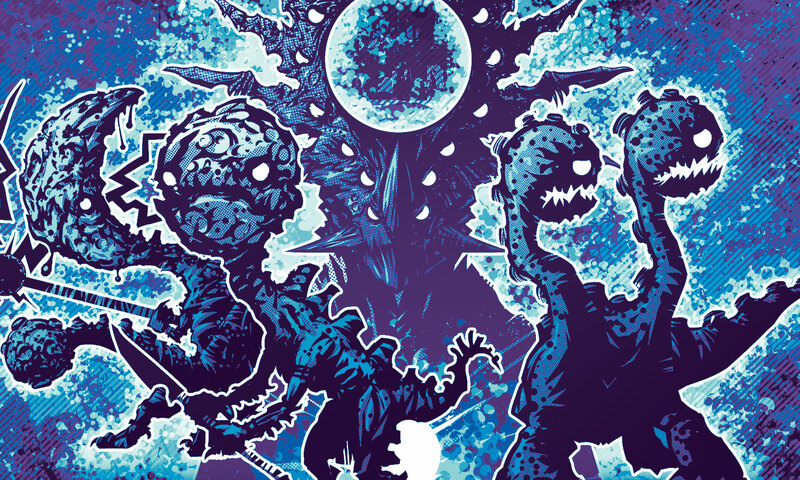 Hey there, I’m Jez Gordon, an Australian game illustrator and book designer who lives and works out of Sydney’s Northern Beaches. 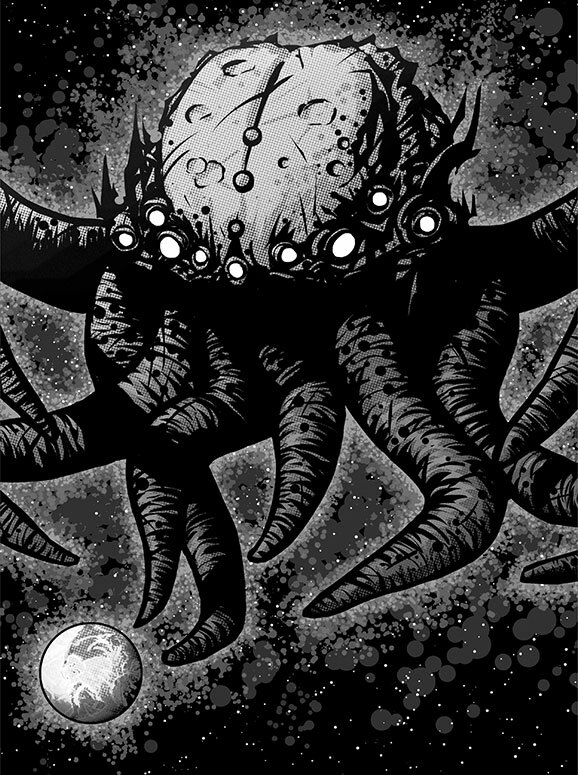 I’ve been drawing monsters since I was in the womb, playing RPGs since I got the Moldvay Red Box in 1982, a qualified graphic designer since 1993, and I’ve been combining all three loves since 2010. 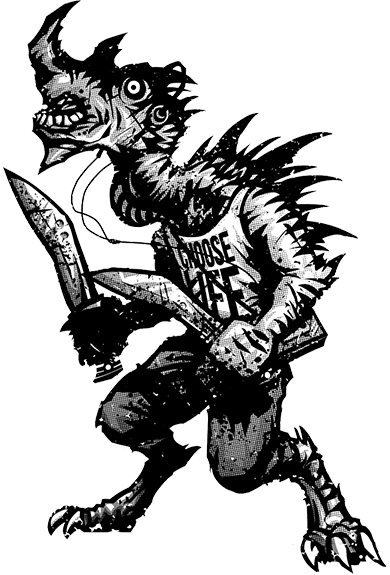 These last seven years I’ve been working with some of the top RPG writers and designers out there, and I’m hoping some of their awesome design chops have rubbed off on FERAL, my first stab at publishing my own RPG material. Really hope you like what you see here. Bewdy. 5 New Player Species! Tons of mutant animal Mongrels of course, plus options for variant Humans, Cyborgs, Mutants, Robots, and Xenos! Equipment Rules: Possibility Bombs, Pogoblades, Transmografraggers, and many more weird devices, plus rules for modern weapons, trinket tables from the ’80s, inventions, and how to build and equip your own secret base! Pure Pandemonium: heaps of tables to help you make pandemonium unique for your campaign: what it is, how it works, who’s hunting for it, and why it’s very, very bad! The Eighties: year by year coverage of key events, culture, technology, films, politics, disasters and ’80s weirdness! Junkyard City: the east-coast sludgopolis spawned from the cesspools and quagmires of a vast reclaimed rubbish dump, plus random city generation for a citycrawl unique to your campaign! True Earth and the Echoverse: a guide to creating multidimensional campaigns and heaps of random tables to help create billions of possible echoworlds to explore; plus overviews of six echoworlds including Tsarmerika, Carcassara, Gangs of Bree-yak, and Mutantor! 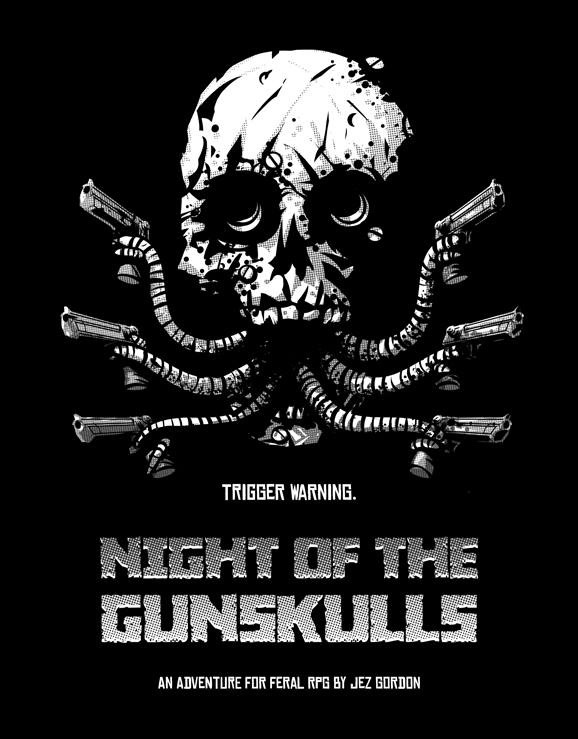 Creature Features: Boltzmann Brains, Cephlarachs, Edgelords, Exterminauts, Chronosaurs, General Gonzoida and his Cartel, Gunskulls, King Fugu, Murderbots, Sighborgs, the Un and dozens more monsters for you to hurl at your players - plus rules for eaters of the dead, details and advice on creating unforgettable archvillains and evil organisations! Optional Variant Rules: setting specific skills and alternative rule suggestions to make your game run even better! Skateboard fighting, injury tables, combination attacks, a fresh look at initiative, healing, hit points, and loads more! Sample Adventures: to help kick off your campaign or when you need something ready quick! Twelve Pregen Characters: so you can get straight into the game! In addition to writing and game design, I’m also bringing 25 years of award-winning graphic design and illustration to the project. 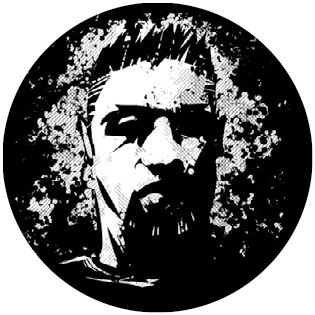 FERAL will be chock-a-block full of character illustrations and rock-solid information design. 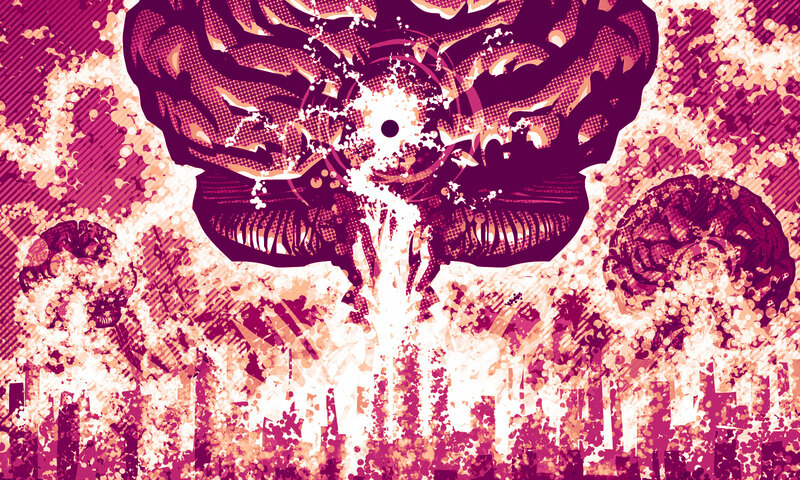 Come Get Yer Mutant On!